All of Our 2016 FIGMENT Cities and Events in One Place!! Thinking about taking your FIGMENT project on tour? See below for a list of FIMENT cities, and check out the websites for their Call for Participation opening and closing dates. Stay tuned as we add more cities and finalize dates! Please note that all dates and events are tentative; stay tuned for confirmations and updates! Thank you so much for all that you have done for FIGMENT in 2015. To the team members, artists, volunteers, participants, and donors, all who have given so generously of their time and energy… you make FIGMENT happen! In honor of Giving Tuesday, we decided to launch #GivingFigment. We asked our community to update their profile pictures on Facebook and Twitter to help promote the initiative. If you would like to participate, here is a link to the #GivingFigment picture. It’s the easiest and best way you can help FIGMENT right now… and we look forward to your involvement in 2016! Last month we asked our community to share the impact FIGMENT has had on them and on their community. We were so happy to receive so many rich and interesting responses. Here are a few that beautifully illustrate the effect FIGMENT can have on individuals and their cities. FIGMENT Impact Survey: help FIGMENT explain FIGMENT! FIGMENT has had a significant positive impact on so many of us. We're collecting stories from all of our communities on how FIGMENT has made a difference in our lives and in our communities, to help us to explain FIGMENT and the impact that we have to potential funders, groups in new cities, governmental partners, and others. Please take a few minutes to answer the three questions in this FIGMENT Impact Survey, about the difference FIGMENT has made in your life and community—and please ask your core team members, volunteers, artists, and participants to do the same. Your help is much appreciated! Please respond to this survey by Sunday, November 15, 2015. Thank you! Call for Submissions: 2016 Pavilion of Dreams! The City of Dreams Pavilion summer-long program is now accepting submissions for the 2016 competition! FIGMENT is teaming up once more with the Emerging New York Architects Committee (ENYA) of the American Institute of Architects NY Chapter (AIANY) and the Structural Engineers Association of New York (SEAoNY) to host this annual competition. The challenge: design and construct a temporary pavilion on Governors Island that meets the criteria outlined here. Our theme for the pavilion, the City of Dreams, points toward the future. If we imagine a future New York City where anything is possible, what would it look like? In our wildest and most optimistic dreams, what is the future of the city? These eye-catching structures are always a highlight of the FIGMENT NYC season, to great acclaim from both visitors and (international) media, winning a number of architectural awards. Entrants have until September 20th to register, and until September 30th to submit their proposals. We ask entrants to consider how to construct a temporary structure efficiently and sustainably—to create a pavilion that has net zero impact and serves as a prototype for a new, truly sustainable approach to design and construction. Entries are encouraged from individuals or teams of architects or non-architects of any age or experience level, provided they are prepared to carry out the project. The 2015 winning designs are currently installed on Governors Island. Learn more about Billion Oyster Pavilion by BanG Studio, and Organic Growth by Izaskun Chinchilla Architects of Madrid and London here. More information about the program and submission guidelines can be found here. All of Our FIGMENT Cities and Dates in One Place! 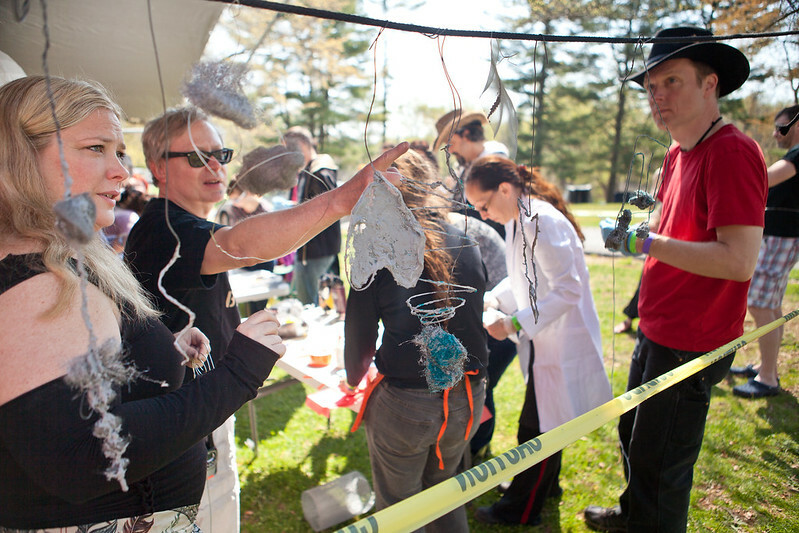 April 30: last day to submit your project to FIGMENT NYC! Thursday April 30, 11:59PM ET is your last chance to submit a project to FIGMENT NYC! You have only one more day to get your project in for the 2015 event! We want YOU, your creativity, your energy, your fun and your imagination! The curators of FIGMENT NYC invite proposals for interactive art of all mediums. Interactive, or participatory, art blurs the lines between the artist, the art, and the people engaging with the art. We look for projects that encourage people to play, dance, sing, create, engage, experiment, and explore their environment. Theatre, dance, music, performance art, games, creative costuming, workshops, activities, three-dimensional sculptural installations are all common genres found at FIGMENT. Get in your proposals and join us! Join us at ALPHA 2015! Got stress? April is National Stress Awareness Month and it's coming around the corner. Luckily, there is a low-cost, fast-acting and highly effective treatment available: It’s called “art,” and the directions are simple... for maximum effectiveness, use as often as needed! Are you creating art or other projects as often as you should? Feel like you need to find the perfect partner in crime to get rolling? Well, there's no time left for excuses; join us at ALPHA! ALPHA is an event for everyone who creates. ALPHA is a place to experiment and try new things... a place to launch new projects, to collaborate, to improve and refine existing projects, to dive in and create something new and unexpected, to reinvent yourself completely as an creator. We know you already understand participatory art, so here's your chance to do it more deeply, with other creators, with any medium you can dream up. For ALPHA 2015, we currently have a black box theater space that needs to be filled with collaborative performances, a photographer who seeks subjects for fanciful portraiture, a workshop to help you build a construct with pleasing aesthetics to burn, the Star 400 Tent that wants to be danced in, an effigy to be burned, and more! 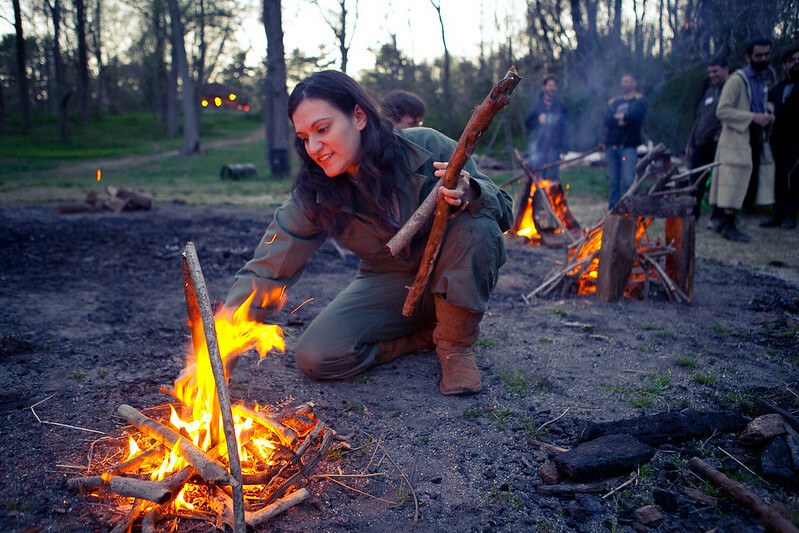 ALPHA 2015 will be our third annual ALPHA event, held at Camp Ramblewood in Darlington, Maryland, from April 24-26, 2015. The event is produced by FIGMENT, the not-for-profit that creates free arts events in 10+ cities around the world. Tickets are on sale now at alpha2015.eventbrite.com; prices are increasing Tuesday, March 24th at 12:01am, so put your order in now! There are cabins and meal plans also available. Full information on ALPHA at figmentproject.org/alpha. 2014 has been an amazing year... FIGMENT was in 10 cities in 3 countries, impacting some 250,000 people. We appreciate everything that you have done to get us here... your creativity, your volunteerism, your financial support. We hope we can count on you to support FIGMENT once more before the new year. You may have heard that last week FIGMENT decided to decline a donation for the first time in our history, from the Santacon event in NYC. It was a difficult decision, but we want to maintain our integrity focusing on free, family-friendly events that celebrate creativity and build community. To make up for this gap, an anonymous FIGMENT supporter has offered to match all donations we receive until 12/31. Your tax-deductible gift to FIGMENT today will be doubled. Please help us one more time before 12/31. Your contribution today will do twice as much to reach people with participatory art and build community around creativity. From everyone at FIGMENT, we want to wish you and your community a peaceful and regenerative holiday season! To appear on our map and event schedule, your project or event must be submitted by April 17, 2014. We can't wait to see what you're bringing! 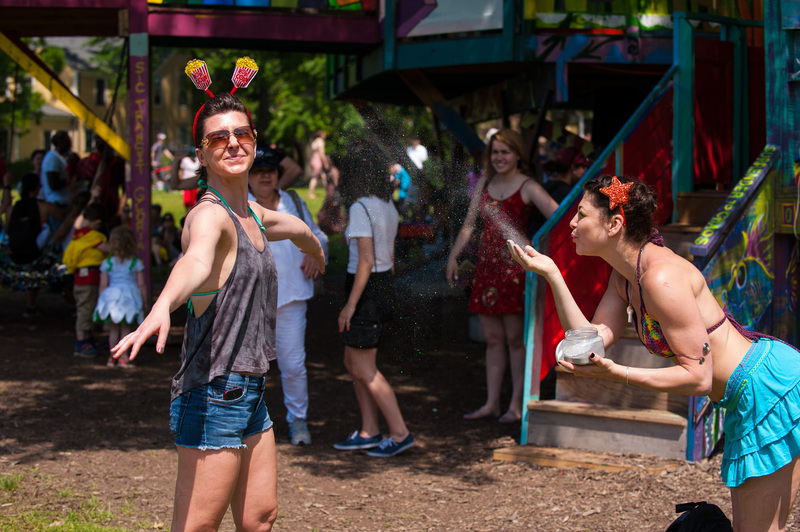 The first-ever FIGMENT Chicago was a wonderful success! Missed it? Check out this great video by Chicago Public Radio! We can't wait for Chicago 2014!